We mentioned this one long ago, and it's time to mention it again: You can download for free the complete organ works of Johann Sebastian Bach. They were recorded by Dr. James Kibbie (University of Michigan) on original baroque organs in Leipzig, Germany. Feel free to start with a collection of Favorite Masterworks, or get the complete works that have been divided into 13 groups for easy download. Once you download these zip files, you will need to unzip them before playing the tracks. Enjoy, and don't miss our related post: How a Bach Canon Works. It's rather brilliant. 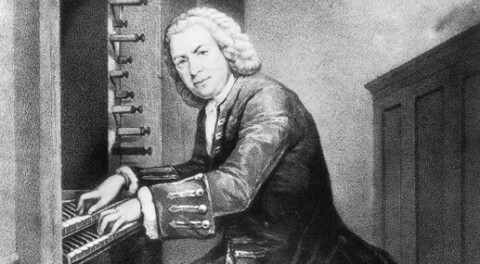 Thanks for this link – a real treasure trove for Bach fans! Adorei, já compartilhei. Isso sim é música. Na minha árvore genealógica tem Bach. hi, i really appreciate this site. where can i find the link to download the amazing organ composition ? How can I receive the download link?? there does not seem to be a “catch,” and the music is public domain, so a license is not required. Dr. James Kibbie from the University of Michigan has done this project as a labor of love. Thanks go to him, and of course, to Johann Sebastian Bach. Thankyou Dr. Kibbie for your generosity. Me fascina,la musica clasica y en especial,la de organo…Gracias por compartir. Where the damn link is ?